Overwatch players can travel to many places over the world through the various Overwatch maps available in-game. All of the playable maps take place in areas important to the lore, which is primarily on land, but having a new kind of map to shake things up would be interesting. If players can jump around in in space on Horizon Lunar Colony, then what's to stop Blizzard from creating an underwater map? If an underwater ​Overwatch map was made, here are five heroes that would excel in the map. Mercy would be an amazing hero for an underwater map. ​Her Guardian Angel ability will let her fly, or in this case swim, to her target with ease. She would be a great hero to play on the map, and now that she was ​buffed again, she would be an excellent healer for any team composition players decide to run. Winston is a hero that can work in just about any map. He already has a space suit on, and has experience with being in zero gravity thanks to Horizon Lunar Colony, ​so he is more than prepared for an underwater map. It would also mean that when Winston jumps with his Jump Pack, he could possibly create bubbles after landing. His mobility wouldn't be stunted in any way in that kind of map. Tracer would be an amazing hero to play on an underwater map.​ If the new map featured some sort of movement change that made players move slowly because they were underwater, it wouldn't matter to Tracer. 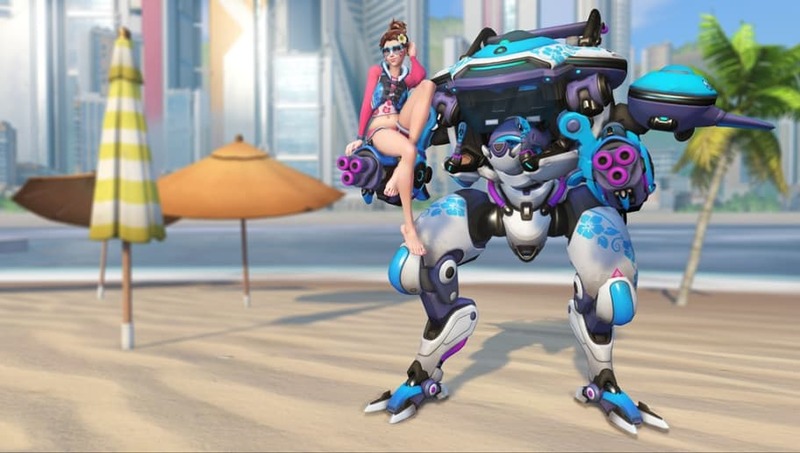 Using her Blink would allow Tracer to make it across areas underwater with ease.